Don’t worry, we are still here, and we apologize for our noticeable absence over the last few months. But we are back, and we brought noodle salads! Normally, this time of year would be perfect for a cold noodle dish, as outdoor eating would be making a comeback (Like I said. Normally.) But since that doesn’t seem to be happening for us anytime soon, let’s talk about something else. Anything else, preferably. 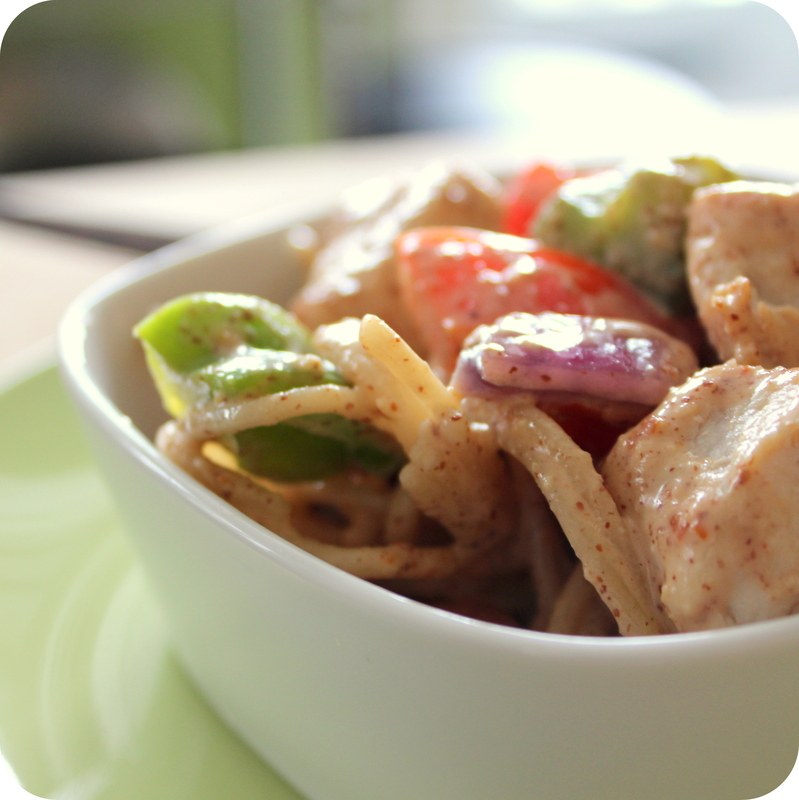 How about how a tangy, spicy, nut-based sauce can make cold noodles and veggies taste kind of awesome? Or how easy making these sauces can be? Or how both of us made these dishes in no time at all and had tons left over for easy weekday lunches and dinners? Sound good to you? Cool. I’ll go first. Thinking of the bottles of Thia Peanut Sauces my mom used to bring home from Williams-Sonoma inspired me to make a homemade version, which used almond butter as a base rather than peanuts. 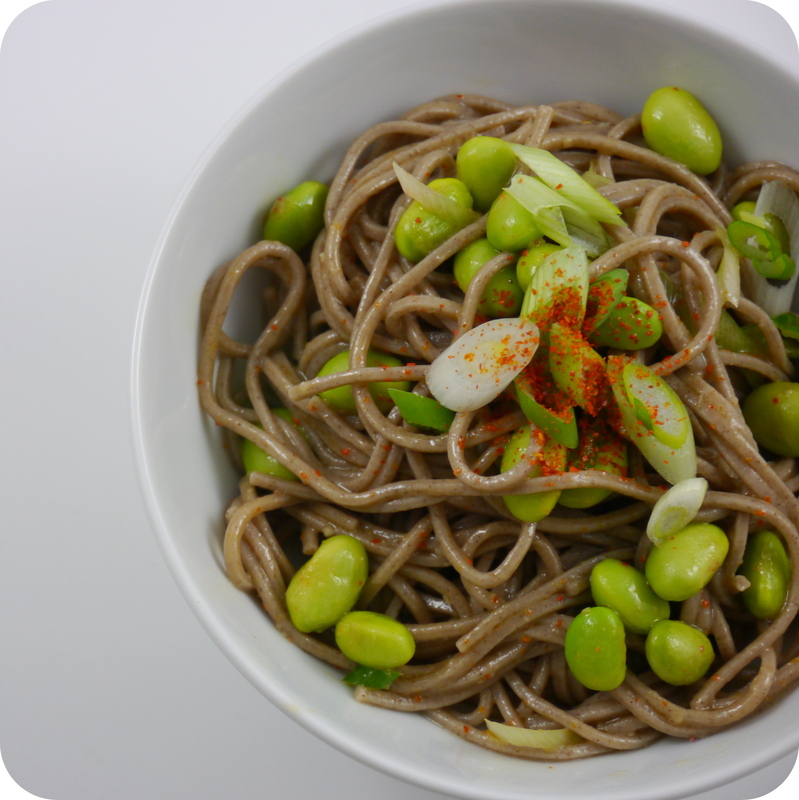 Susan used a combination of oils as the base for her sauce and tossed it with some soba noodles and edamame.